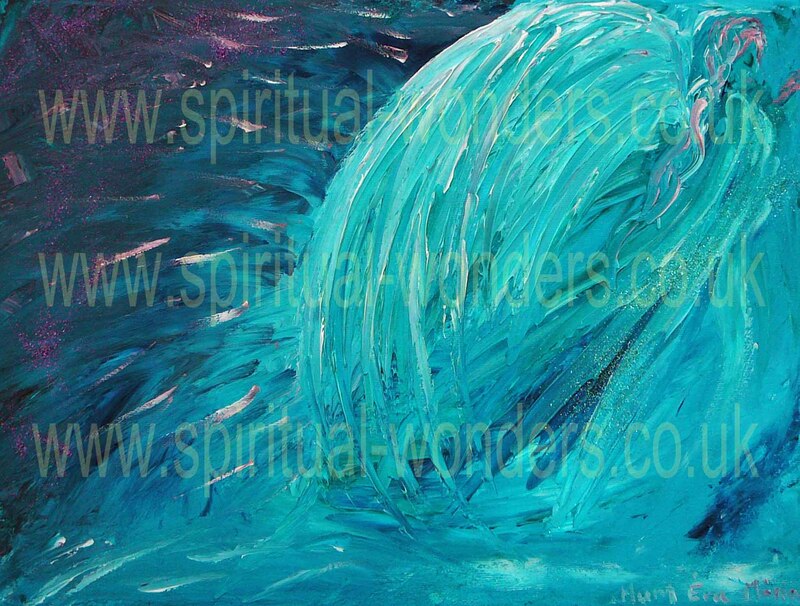 ​21 paintings, 92 pages Designed to Guide you towards a Happier & more Balanced Life! Working with my Book is Easy, Fun & Effective! 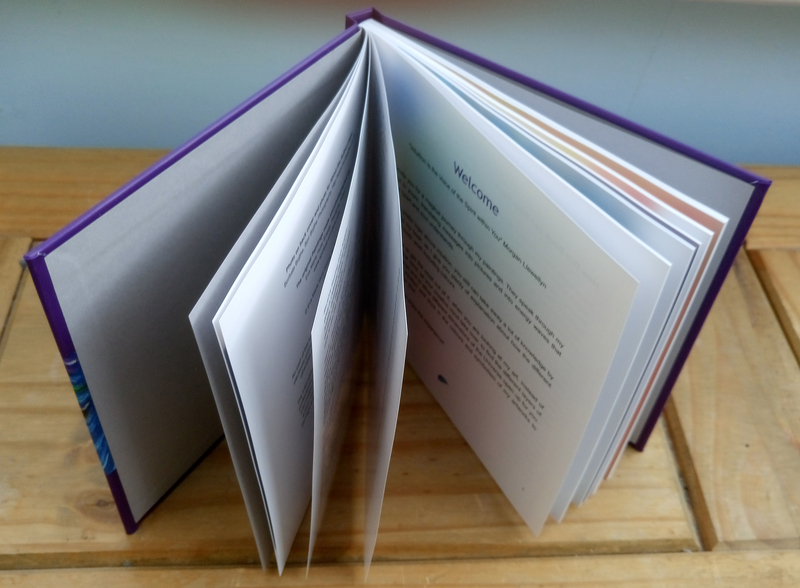 In the first part of the book you get insights into the basics of energy healing: the human energy field, energy centres and you learn about some essential energy tools. Law of Attraction - are you speaking the language of the Universe? Learn how! My paintings take over in this part of my book along with the written version of the messages arrived my paintings. Lift your mood, reduce physical symptoms... access the secrets of Eastern Wisdom on how to vitalise your organs and strengthen related positive emotions through a Qigong Colour Meditation! 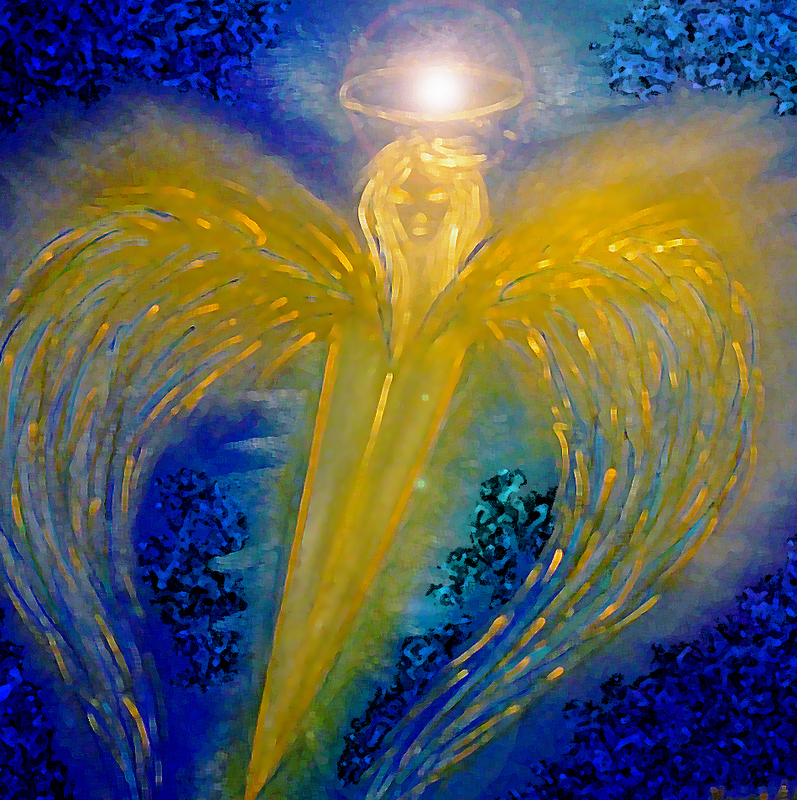 A little bit about Angels and how these amazing Divine Beings can assist in your success. All the tools you need to sculpt the energies of your chakras you find in the last chapter. 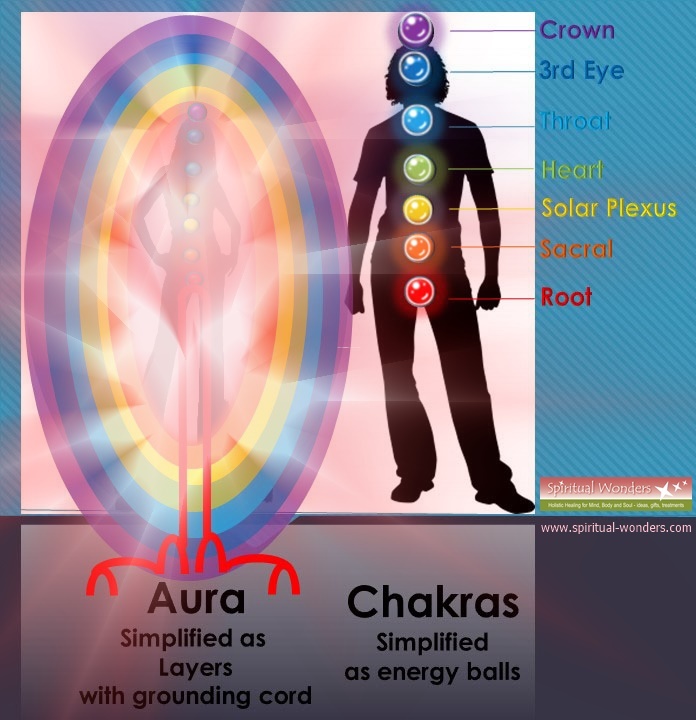 Whether you use your mind mainly or let your intuition take over you will benefit by learning how to adjust the energies of your chakra centres. 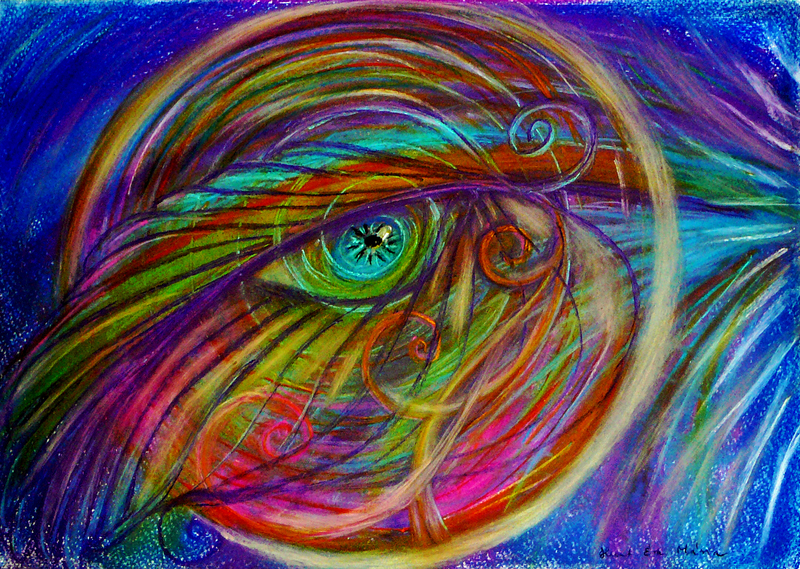 Hi, I am Eva, Energy Therapist & Artist. 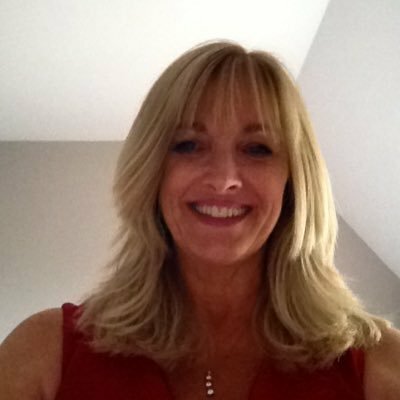 I sculpt women's Energy Blueprint with Energy Tools, similarly to a makeup artist, emphasising your best features. However instead of your physical beauty, I focus on your soul, pealing off your limiting beliefs, emotional baggage... to set the Real You FREE. My method is fusing Eastern Wisdom with Western Living, logic and intuition, science and spirituality, tons of energy tools, including my handmade healing crystal jewellery and energy art and a hint of magic. I have been practising in the holistic healing arena for 6 years. I haven't always been an energy therapist and artist. I have a bachelors degree in commercial economics. 12 years ago I have changed countries and put far too much pressure on myself trying to fulfil my own extremely high expectations, and making others' happiness my responsibility. As a result I got depressed... This very unpleasant experience became a mile stone in my life. Manage Your Energies! Lift Your Mood! Receive Guidance! Start Today! Want to start straight away? 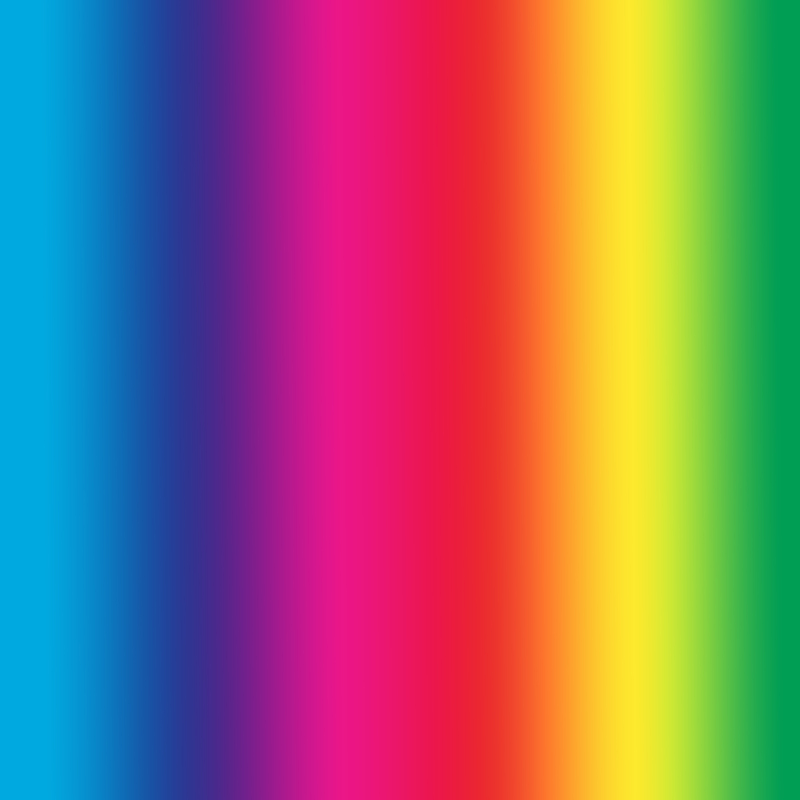 Use Colours, the purest healing energy of the Universe through Colour Vibrations and Colour Affirmations to shift your emotions. 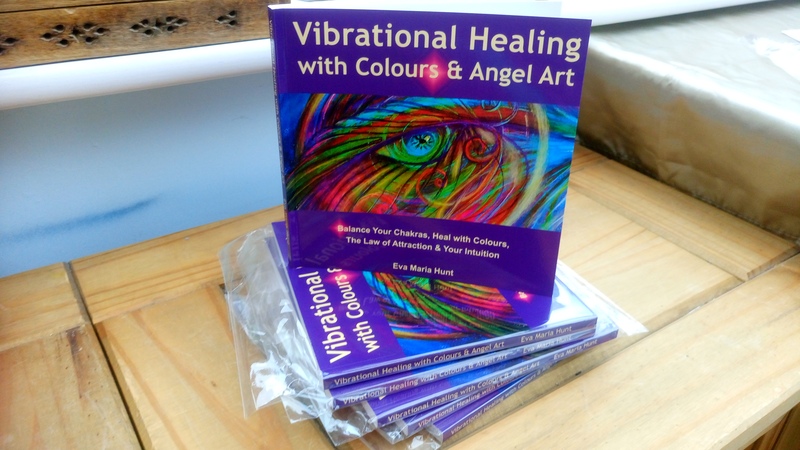 My powerful channelled paintings contain energies and messages from the angels to guide you on your path and help you find solutions to your problems through your intuition. With the help of Positive Affirmations, you are learning the language of the Universe and how to work with the Law of Attraction to manifest what you want in your life. 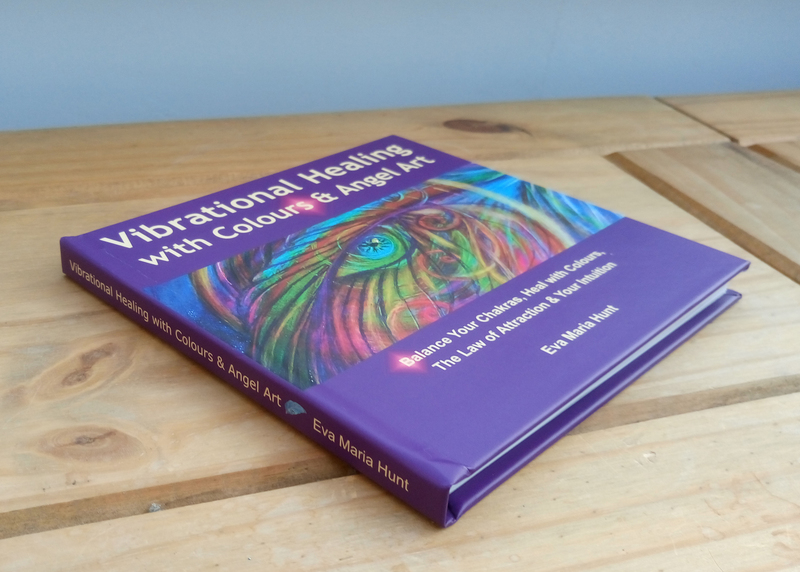 This book not only addresses your physical body, but it talks to all levels of Your Being: Mind, Body & Soul, so you get results quickly and easily, involving the invisible parts of your Energy System. 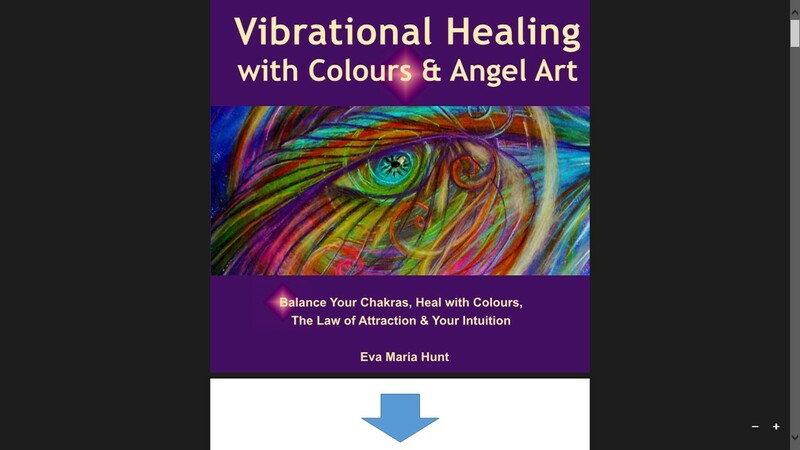 An entire chapter of the book is providing you with all the tools necessary to achieve this by working with your chakra / energy centres in different ways, on a deeper level. 1. Ask a specific or a general question and open the book to find the answer for it. 2. At the end of the book there is a sheet with the miniature version of the paintings. You can print and cut them out to use them as a miniature oracle card deck to find answers and/or carry with you the energies of the paintings. 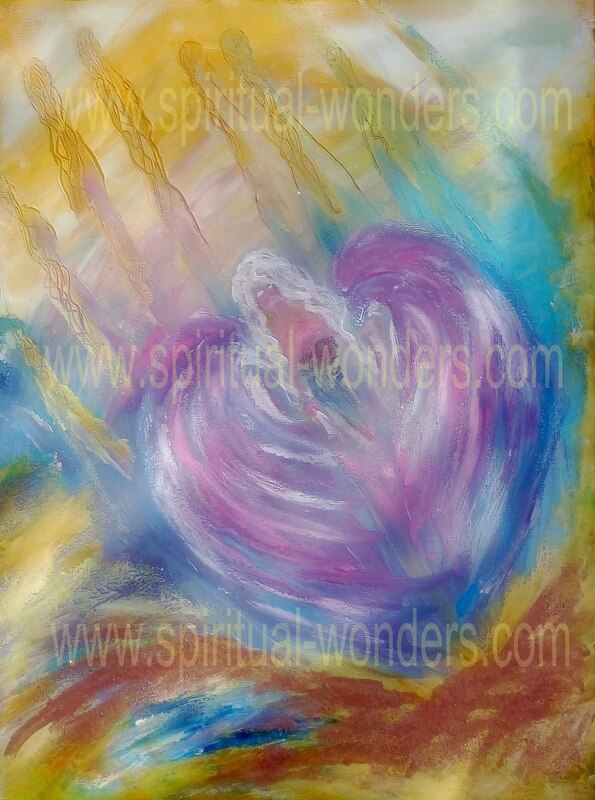 "Beautiful Paintings with healing energy. 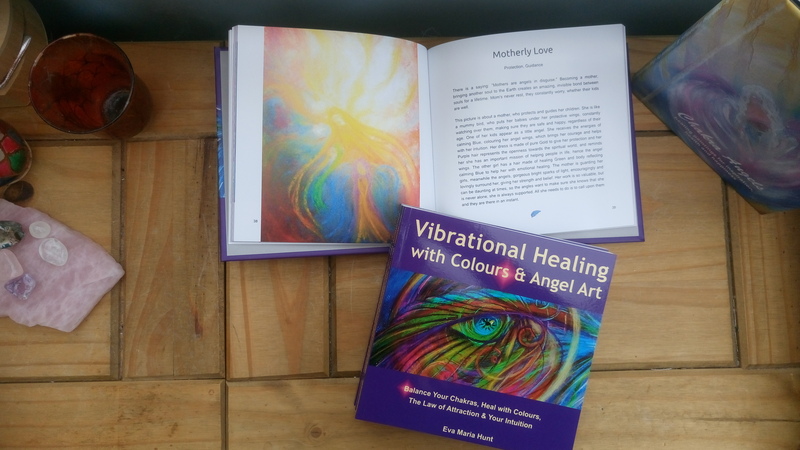 The book is already open at the Heart Chakra with The Angel of Love painting, next to my bed." 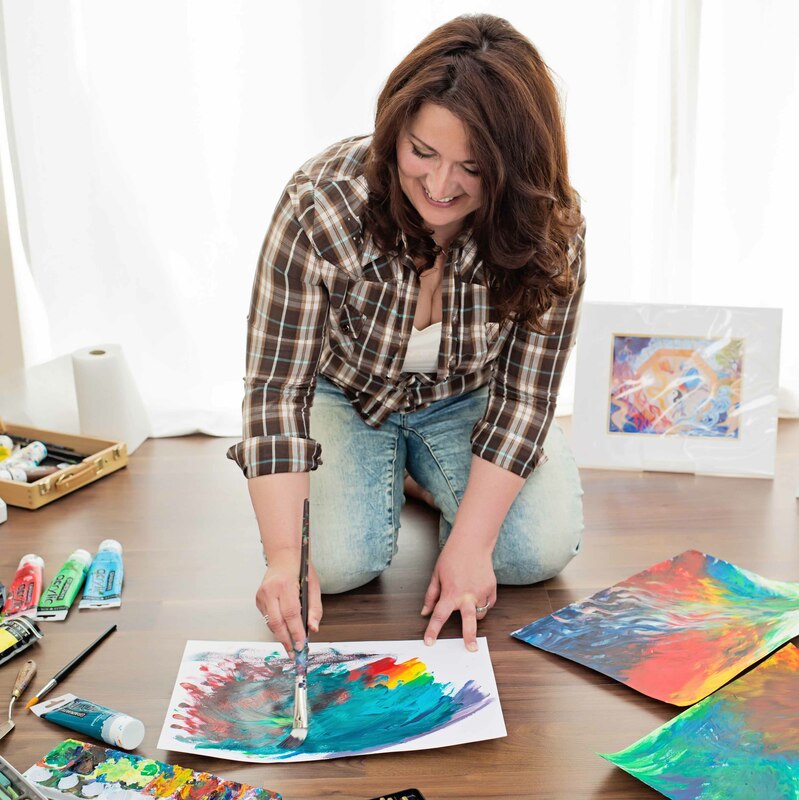 "Eva's artwork stimulates my body and soul through the vivacious fields of colourful abstraction. They create an inner calm, peacefulness and an energised outlook of my life... When I saw Eva's artwork of Archangel Michael I got shivers... this is how I see him, when I sense his presence..."
Choose your version or Give it Away as a Unique Gift! 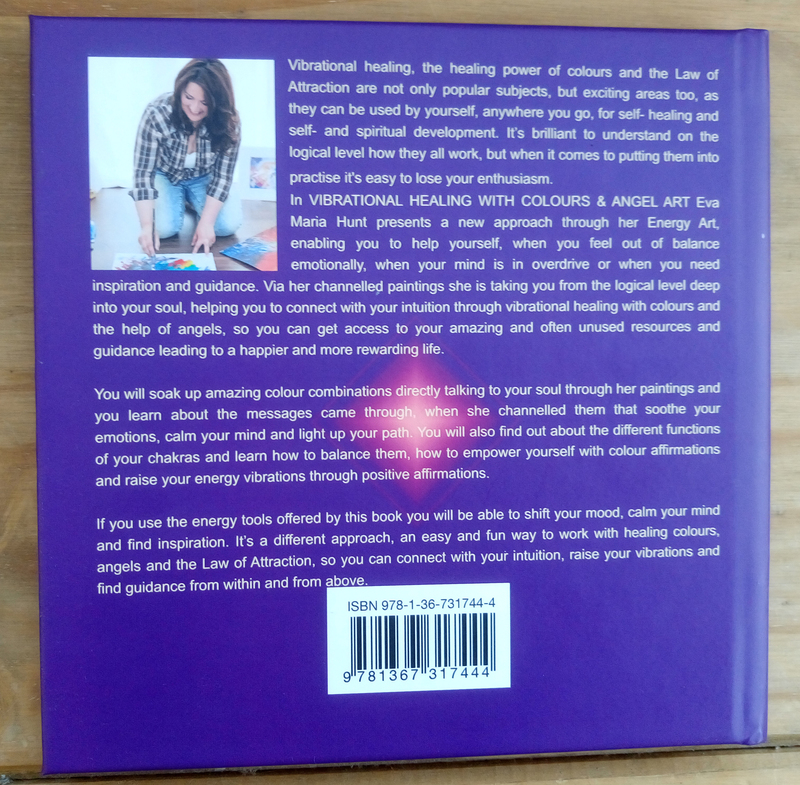 The glossy PAPERBACK and the semi-matt HARD COVER version of my book makes a Beautiful, Unique, Birthday or Get Well Gift for less than a price of an Energy healing Session. Don't Struggle! There is Help!